If you’re a fan of sports cards – or even a casual fan for that matter – you are probably a fan of Topps. The name is synonymous with sports cards for its longevity, legacy, and its rightful place as a fixture in Americana throughout generations for an amazing 75 years. But did you know the company wasn’t always famous for sports cards? Topps was christened in Brooklyn in 1938 in as a gum and confections company, spawning Bazooka 9 years later to compete with other bubble gum companies like Fleer’s Dubble Bubble. In 1949, the fledging Topps Chewing Gum Company needed another angle to market their gum to kids to boost sales. The solution? Insert into packs of gum mini comics of the iconic “Bazooka Joe,” and cement your place with kids by introducing magic cards and cards of popular fictional character Hopalong Cassidy a year later. The risk paid off and sales skyrocketed. In 1951, Topps took the next step by partnering with Major League Baseball for the first time, producing the now famous 52-card Blue and Red Backs game cards to promote its taffy product. A year later, the iconic 1952 Topps Baseball card set was released in three series throughout the season. Not only did the third series include the holy grail of postwar era baseball cards, Mickey Mantle’s Topps Rookie card; but America’s love affair with the Yankees and “The Mick” established collecting Topps Baseball as an American youth right of passage for generations to come. College and Pro football were introduced in the mid-1950s, and basketball and hockey would follow shortly thereafter. Sample cards and bubble gum from a TOPPS 1990 MLB pack: Wade Boggs and Randy Johnson. 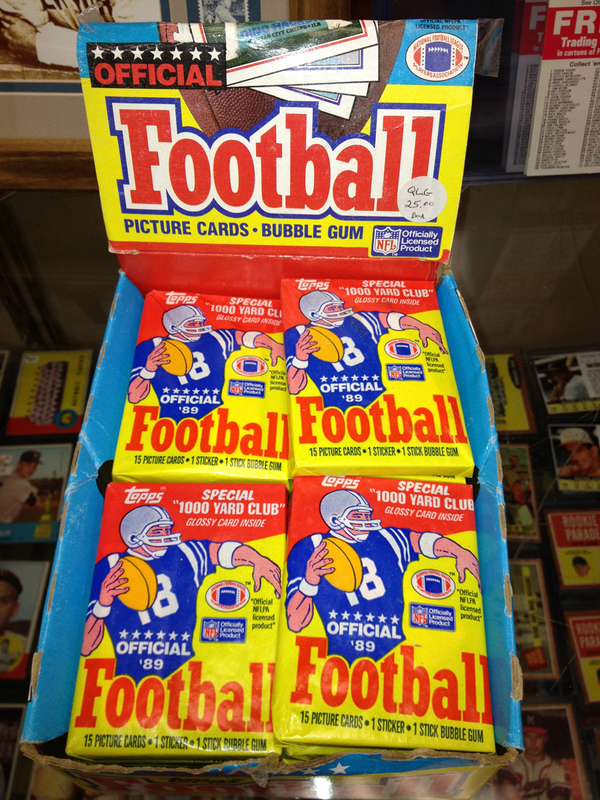 Ever wonder where the term “Bubble Gum Cards” was born? Now you know!